Leaving London St Pancras by Eurostar, we race through Kent and northern France. Changing stations in Paris, we head southwards to Brive for two nights at the Grand Hotel Terminus. By staying in Brive we are well located for today's excursion. 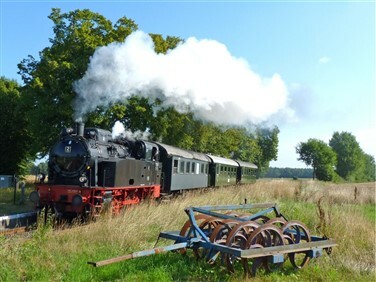 Heading south towards the Dordogne, we enjoy a brief visit to the Chemin de Fer du Haut-Quercy's railway museum, before joining the 'Truffadou' train itself for a one hour steam round-trip. 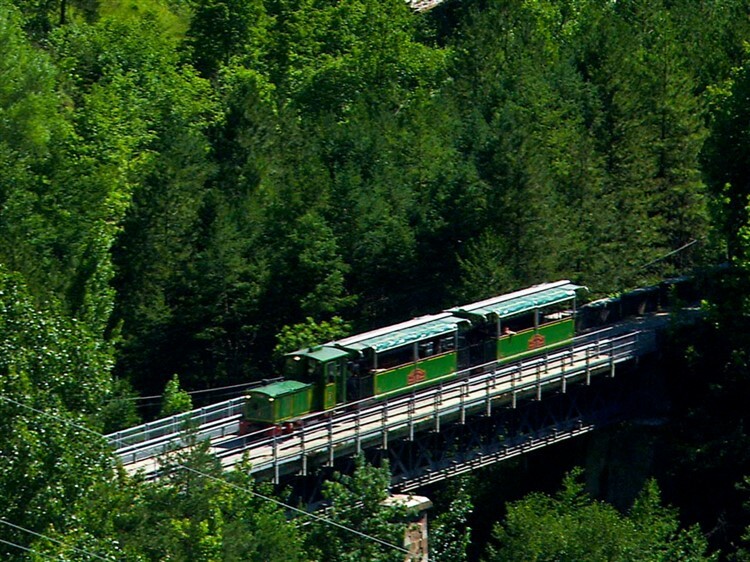 Carved into the cliffs above the River Dordogne, trains were used to transport truffles, hence the name 'Truffadou'. 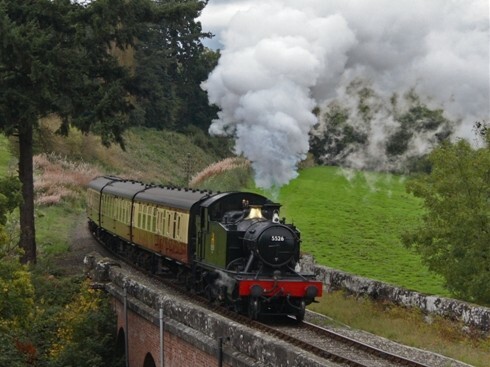 Closed in 1980, the railway has been preserved since the 1990s by enthusiasts. 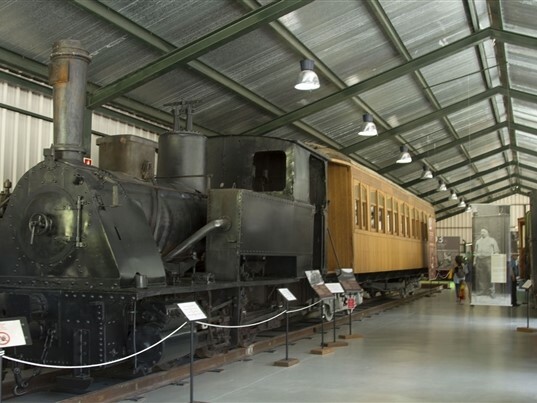 Our rail adventure heads south to Toulouse, changing for the 'Transpyrenean Line'. 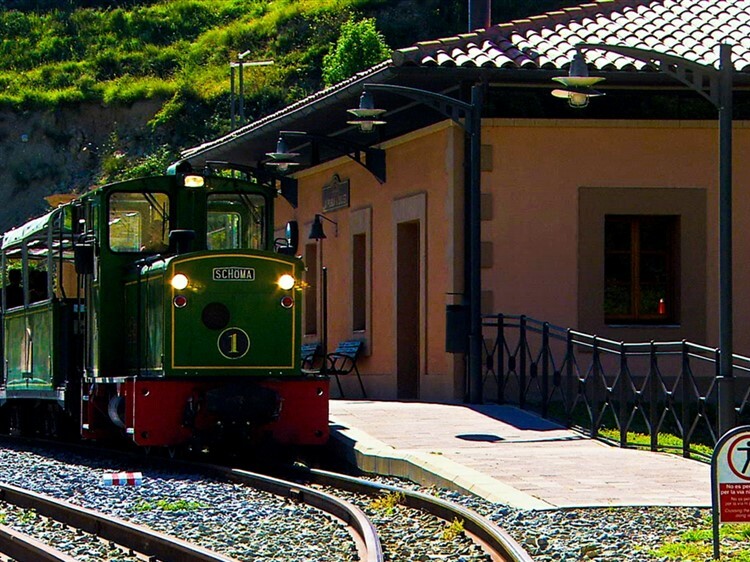 We leave the train at Foix, a charming town overlooked by a majestic château. 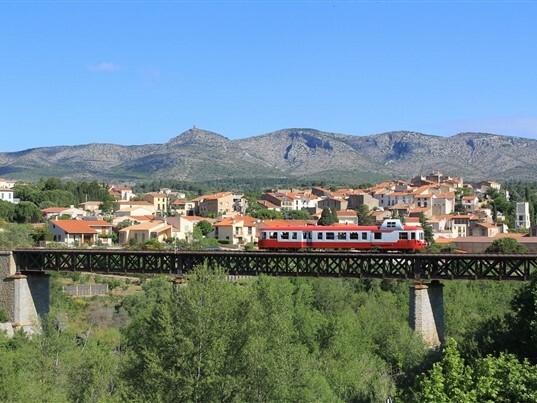 After a little free time we transfer by coach to the Vayamundo Resort at Quillan for four nights, beginning with a winetasting of the local Blanquette de Limoux sparkling wine. Today we enjoy a half-day excursion to beautiful Mirepoix. Explore 'Les Couverts', one of the finest medieval arcaded market squares, flanked by half-timbered medieval houses and the stunning cathedral. 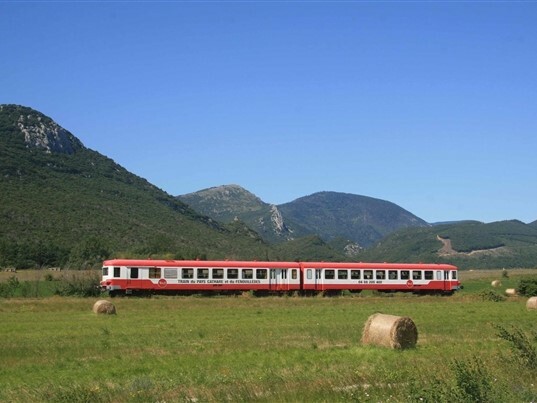 Back at Quillan, relax in the leisure facilities or maybe enjoy one of the signposted walks. 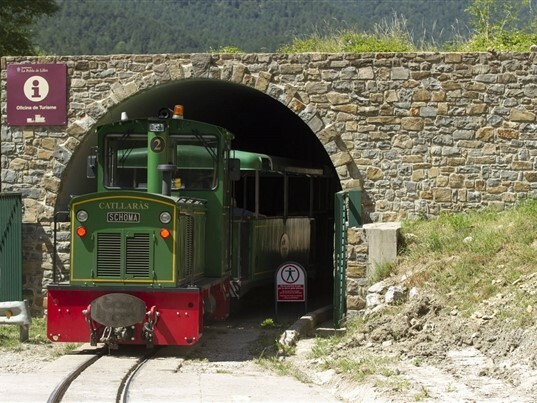 A short transfer to Axat brings us to the Train Rouge, which in June operates its 'Viaducts' route to St Paul de Fenouillet. 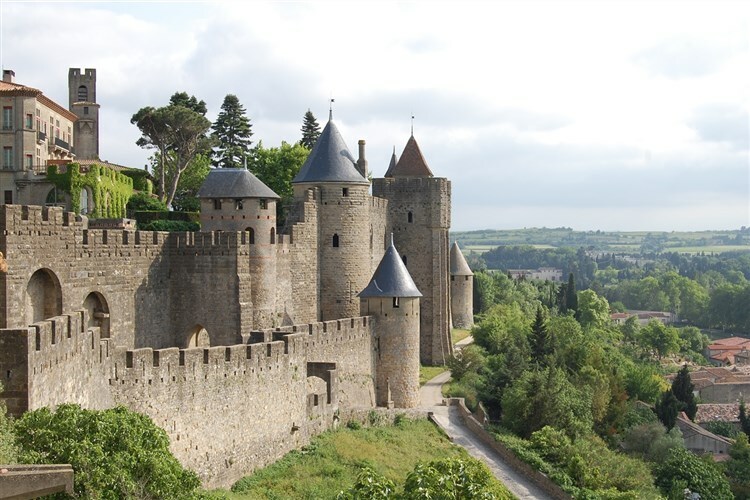 A particular highlight of this scenic journey is the sight of the Château de Puilaurens, perched on a cliff high above the valley, like many of the other Cathar castles. 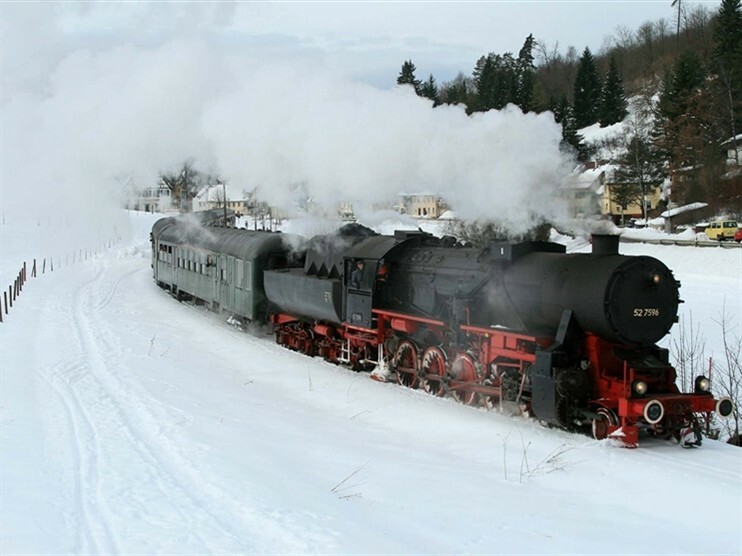 We transfer back to the 'Transpyrenean Line' by a different route, with a short break at the spa town of Ax-les-Thermes, Winding through remote terrain of rugged beauty, we reach Latour de Carol-Enveitg, one of the great border stations and the terminus of three lines. 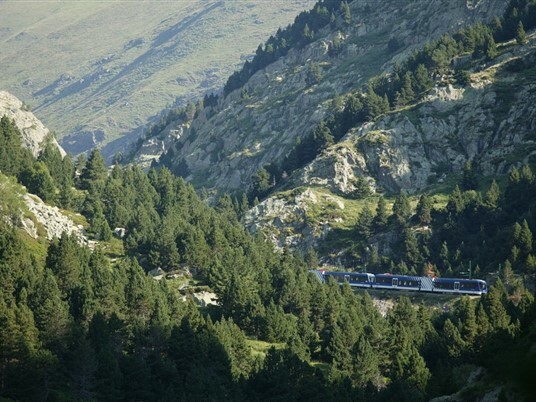 We continue into Spain by local train to Ribes de Freser, where we spend three nights at the Catalunya Park Hotel. 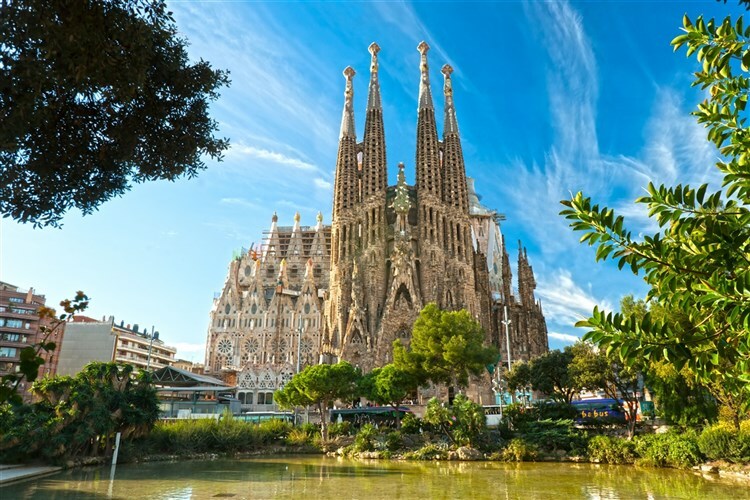 Our direct regional train takes us from Ribes to the regional capital of Barcelona. 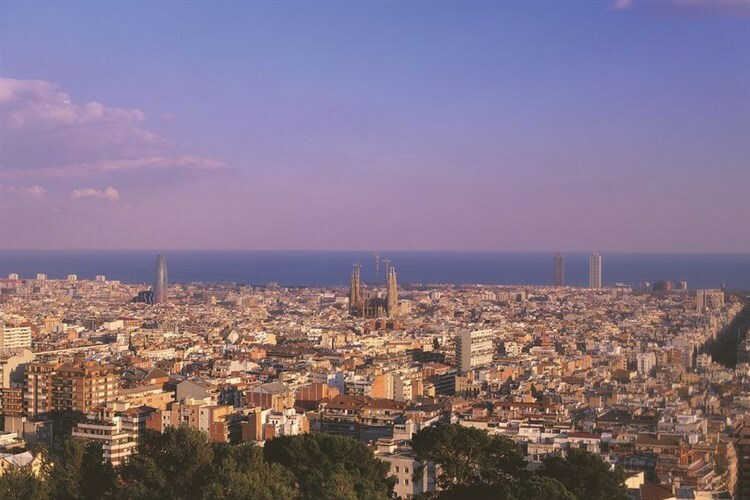 Here we enjoy an orientation drive to introduce the city, including Gaudí's masterpiece, the extraordinary Sagrada Familia and the viewpoint at Mont Juïc. Free time in the city allows you to explore Las Ramblas, before we return to Ribes. 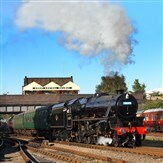 Two fascinating rail experiences await today. 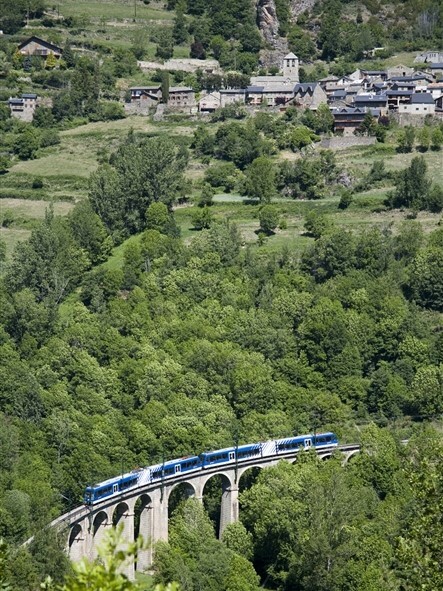 The 'Tren del Ciment' begins in the charming Catalan village of La Pobla de Lillet, which boasts the oldest bridge spanning the River Llobregat. 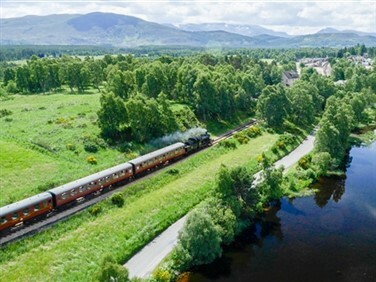 The diesel powered former industrial railway covers a distance of 3.5km on its way to the former Asland Cement Factory, which now houses a museum. 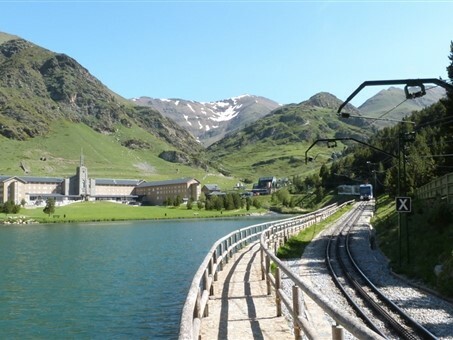 Back in Ribes, we board the Vall de Nuria Rack Railway, which climbs a height difference of more than 1,000 metres on a journey over 12 km in length. 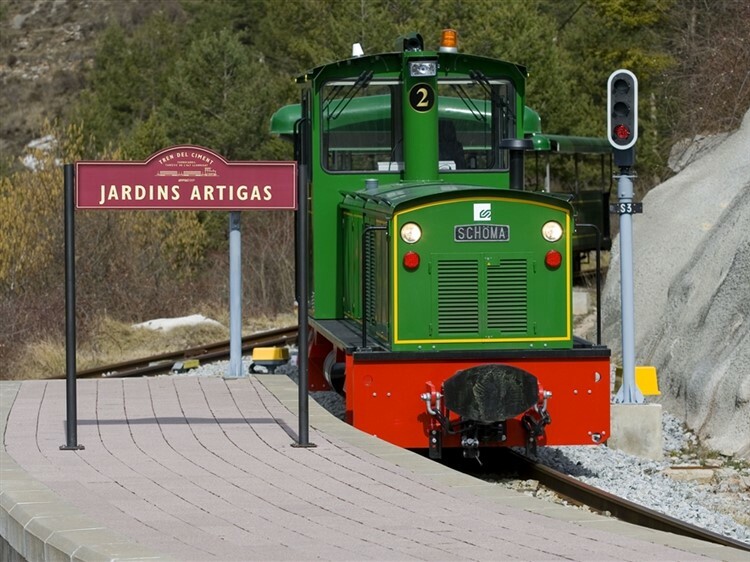 Returning by rail to Latour de Carol, we switch gauges for our first adventure by 'Train Jaune'. 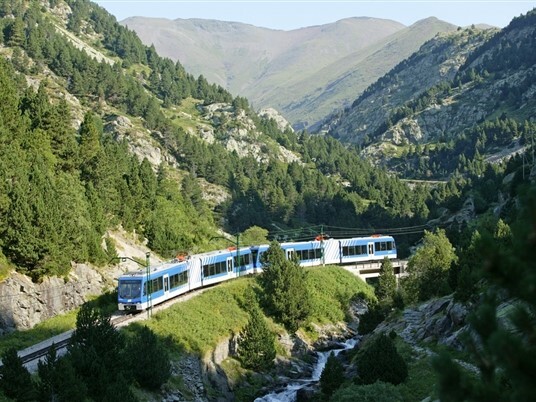 Travelling through the scenic Cerdagne region, we climb to Font Romeu, where we have booked a night at the convenient, family-run 2* L'Oustalet Hotel. 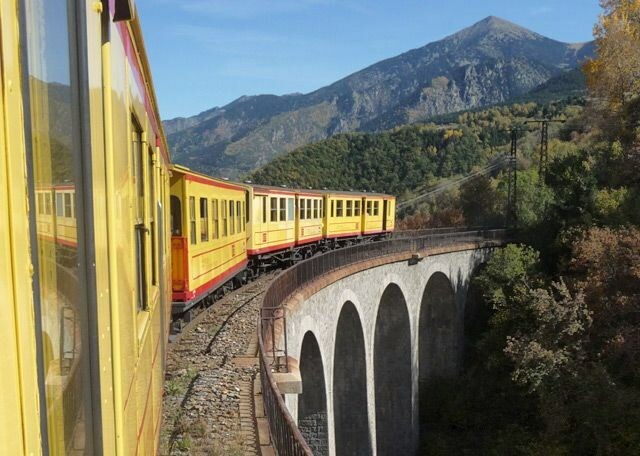 Our 'Train Jaune' experience continues today, climbing to Bolquère-Eyne, the highest station in France and crossing the Pont Gisclard suspension bridge on our descent to Villefranche-Vernet-les-Bains. Our coach awaits here to transfer to the Hotel du Lido in Argelès-sur-Mer on the French Mediterranean. A day at leisure to relax in Argelès-sur-Mer. Relax on the hotel's private beach or maybe explore the region further. 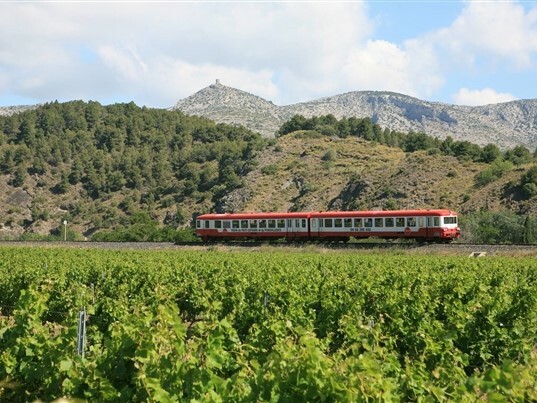 On Day 13 we join the local coastal railway, heading south towards the Spanish border along the stunning 'Vermillion Coast', where the region's expansive beaches develop into a series of charming coves, backed by vineyards and the Albères mountains. We stop at the simply stunning coastal village of Collioure. It is not difficult to see why the Fauvist art movement was drawn to Collioure, with its special light, beautiful bay, lighthouse and fort. 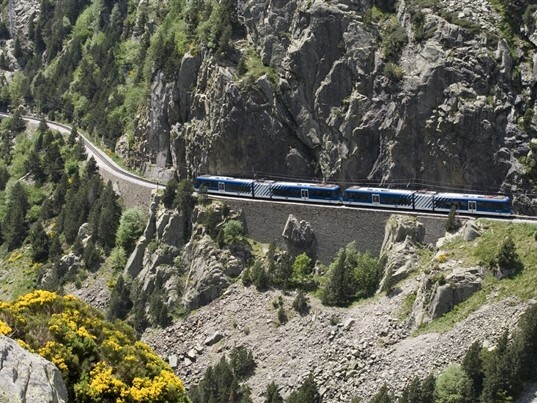 After breakfast we transfer to Perpignan, joining the TGV to Paris, where we join the Eurostar to London St Pancras. Brives railway hotel, the 3* Grand Hotel Terminus, sits opposite Brive-la-Gaillarde train station. Built in 1907 and fully renovated in 2016, it offers modest accommodation just a ten minute walk from the centre of Brive. 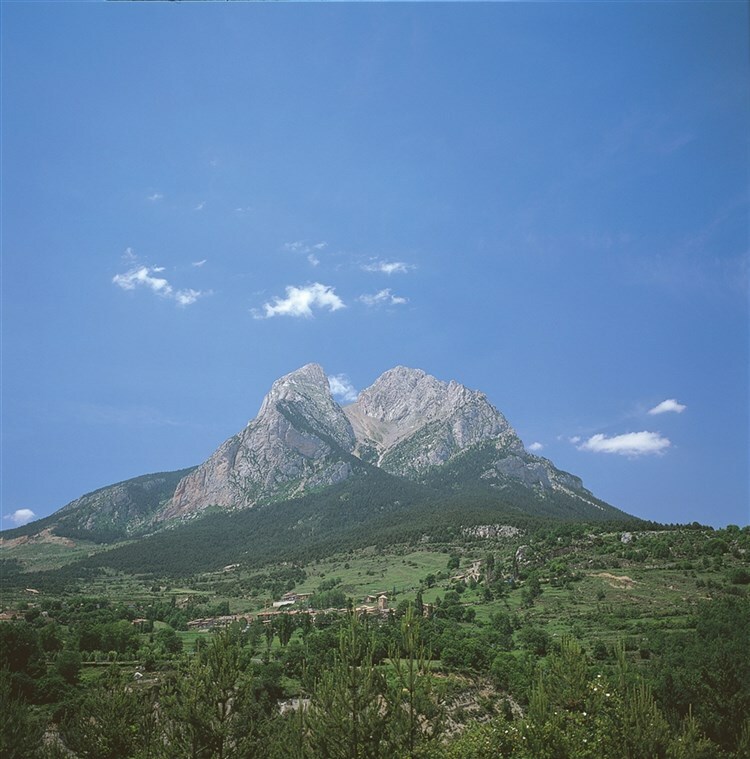 In a region with few hotels, the Vayamundo Resort is located on the outskirts of Quillan in the foothills of the Pyrenees. 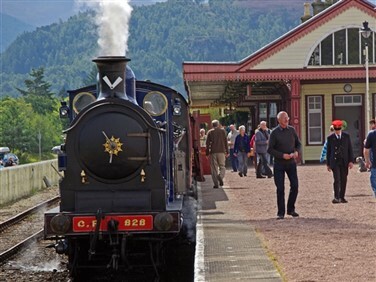 A former vineyard has been transformed into the beautiful holiday village with indoor and outdoor swimming pools, a lake and signposted walks. The resort is busy with families in July and August, but we expect it to be peaceful during our stay in early June. Our accommodation is in studio appartments with balcony and small kitchenette. Breakfast and dinner are provided in Le Brantalou restaurant on site. 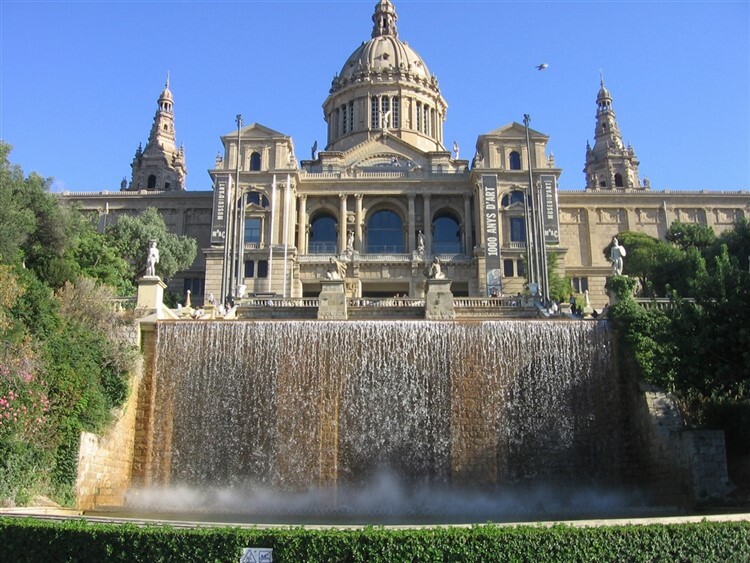 We have chosen the 2* Catalunya Park for ease of access to our excursions. This family-run hotel in the heart of Ribes boasts an outdoor pool in a large garden. 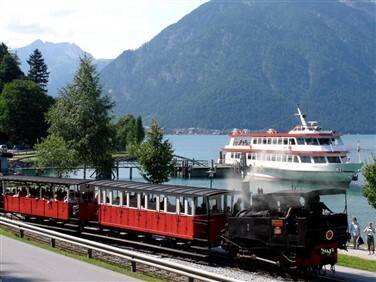 One of very few hotels close to the Train Jaune, the family-run 2* L'Oustalet is set in a beautiful, natural setting and offers an outdoor swimming pool, a traditional restaurant and wonderful views of the surrounding mountains.